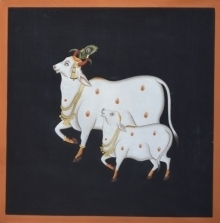 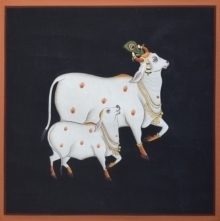 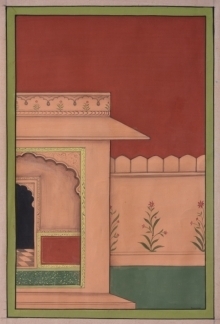 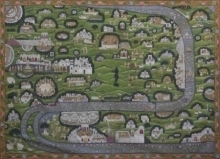 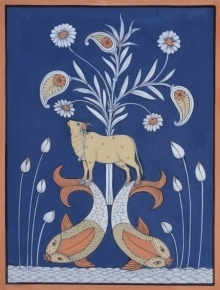 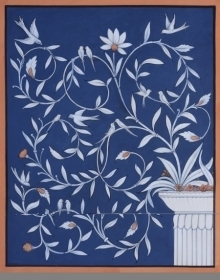 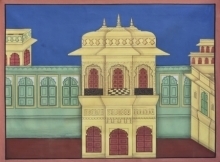 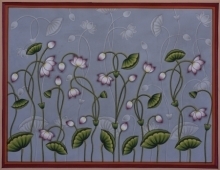 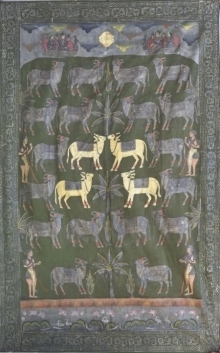 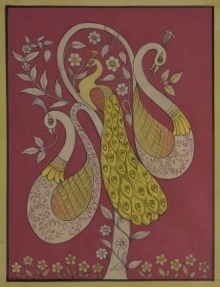 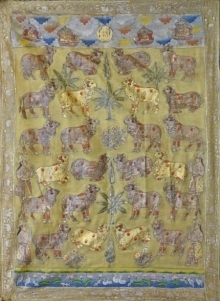 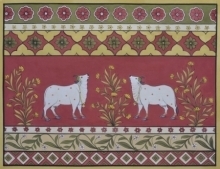 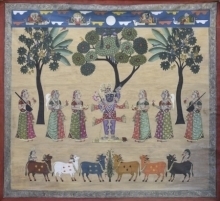 Pichwai paintings also known as "Pichvai" is a traditional Indian art having its origins in Rajasthan, India. 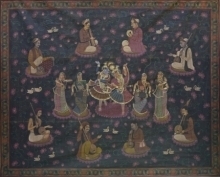 Pichwai art features intricate paintings portraying Lord Krishna (Sreenath ji) which is done on fabric using dark rich hues. 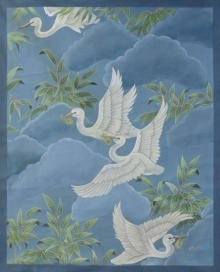 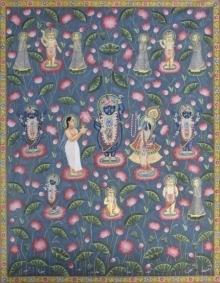 The paintings have deep religious roots and are executed with the utmost devotion by the artists. 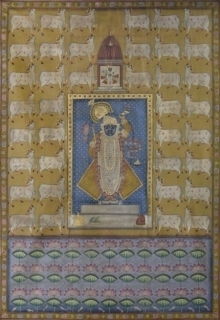 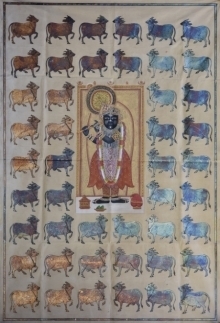 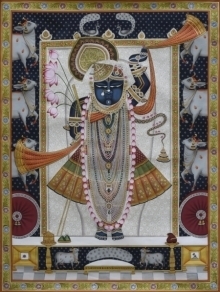 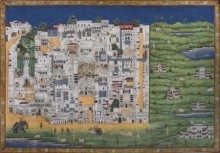 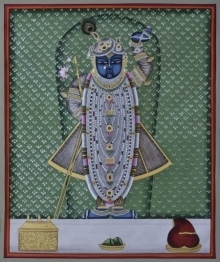 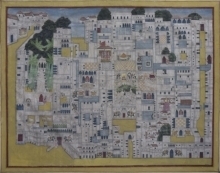 Most works under this style revolves around the figure of Shrinathji as a manifestation of Krishna and refer to the incident of him holding the Govardhan hill on his last finger. 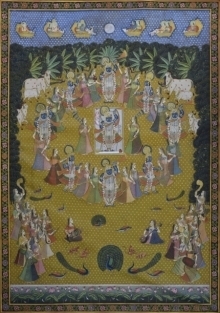 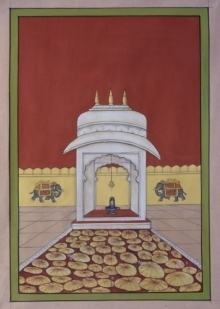 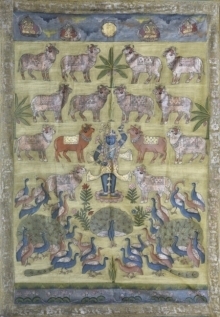 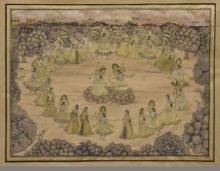 Subjects of Pichwai paintings are mostly depiction of Lord Krishna's various moods or various sevas (offering) of Srinathji.